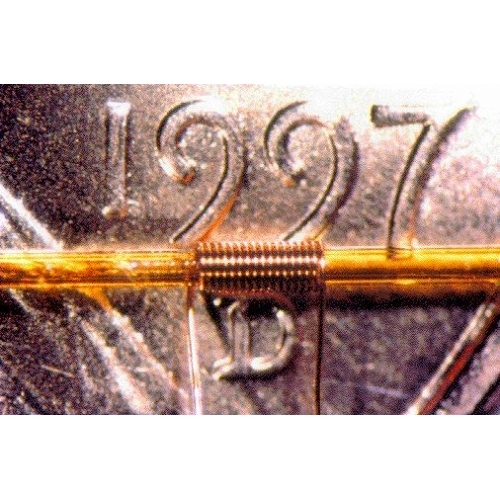 Microcoils provide greater sensitivity than conventional NMR detector coils to receiving the NMR magnetization signal from small amounts of sample.Â This is explained by considering that the process of signal induction in the windings of the detection coil is more efficient when the windings tightly couple to the sample.Â Microcoils employ a solenoidal geometry, which is a tightly-wound, multi-turn structure in which the RF (B1) field is highly focused in the interior region of interest (the region where the NMR flowcell is positioned in the CapNMR probe. )Â In contrast, the RF coils employed in conventional tube-based probes are typically of the saddle coil (or Helmholtz) variety.Â Saddle coils are essentially a loosely wound, 2-turn solenoid, shaped to accommodate the passage of an NMR tube between the two turns of the coil.Â This compromise in design is made to facilitate sample change, where tube insertion and replacement is required.Â The B1 field must remain perpendicular to the main (B0) magnet field, and a multi-turn solenoid would not permit tubes to be loaded from the top of the magnet into the coil.Â The loosely coupled saddle coil design results in a sensitivity loss of approximately 2-3-fold compared to a solenoid of comparable size (Hoult and Richards, J. Mag Res. 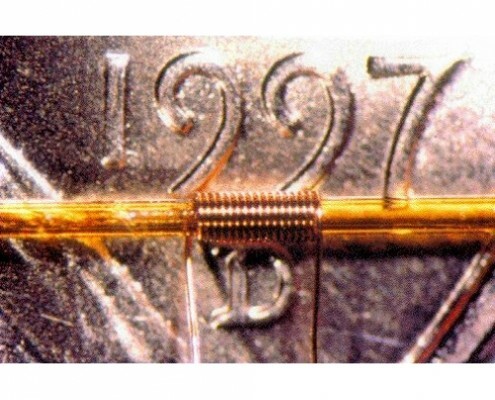 24, 71, 1976).Â Smaller solenoids are more mass-sensitive than larger solenoids, resulting in an additional scaling factor that is approximately proportional to coil diameter.Â The result is that a 1mm-scale solenoidal microcoil is approximately 10-fold more mass-sensitive than a conventional-scale saddle coil.Â Microcoils enable you to use less sample, while providing the same spectral information obtained using a larger coil.Â This means that you can save time and money by using less and from the ability to get the same information from micrograms (or less) of sample. A second consequence of more efficient signal induction with microcoils is that microcoils require far less power to excite the NMR sample (e.g. the transmitter power required to obtain a desired value of t90).Â Whereas conventional probes typically utilize 100Â W â€“ 300Â W amplifiers, microcoils use only a fraction of this power, typically 1Â W.Â The â€œspare powerâ€ available provides an ability to excite a far greater chemical shift bandwidth than is possible with larger coils, where typically both the coil and amplifier begin to exhibit non-linearities and voltage arcing at the higher power levels.Â Also, the available power with microcoils permits cleaner pulses and longer, more complicated pulse sequences to be deployed by the ability to maintain t90 to virtually any reasonable desired value.Â Finally, the greater surface-to-volume ratio at the capillary scale provides more efficient thermal transfer of heat from the sample to the surrounding walls of the capillary, meaning that the NMR experiment can be performed with less concern of heating the sample. 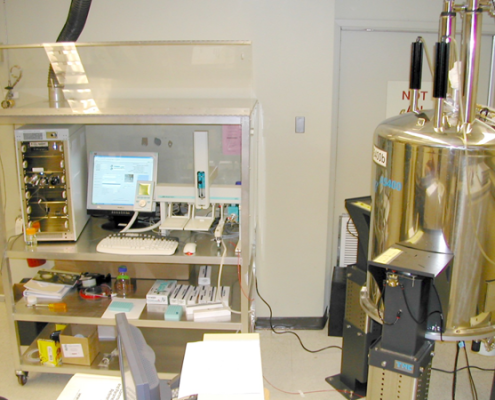 NMR is a magnetic field sensing technique, and consequently, the design of an NMR probe must by definition take into account the perturbing effect that the detection elements will have on the (otherwise homogeneous) magnetic field (B0).Â In conventional tube probes, the container that holds the sample is removed and re-inserted with the sample each time a new sample is introduced.Â Mechanical tolerances (air gaps) are required to facilitate tube loading, and the introduction of a new container with each new sample means that tube-to-tube disparities must be compensated as part of the shimming process.Â Protasis probes utilize flow technology to introduce the sample.Â This enables the use of a consistent sample containment geometry (the NMR flowcell) that does not change from sample-to-sample.Â In turn, this enables a design approach where the mechanical structure of the flowcell can be optimized for magnetic match with less variability experiment-to-experiment, resulting in higher resolution and greater S/N than would be possible at this size scale if a more mechanically-complicated, tube replacement geometry were employed for sample loading.Â CapNMR probes generally do not require re-shimming from sample-to-sample, provided that a consistent solvent is employed. The ability to design the CapNMR probe using a consistent sample containment geometry (the NMR flowcell) that does not change with each introduction of a new sample provides a geometry where the RF detection coil can be tightly coupled to the sample.Â Contrary to tube-based approaches, where the RF coil must be somewhat larger than the tube to permit mechanical clearance for removal and re-insertion of a new tube for each new sample over the course of thousands of sample changes, the microflow approach used with CapNMR probes facilitates winding the coil directly onto the NMR flowcell (for high fill factor), and the use of an extremely thin capillary wall that would not survive the mechanical rigor of the robotic, tube removal and re-insertion approach.Â Further, the coil and flowcell geometry can be designed so that the RF field produced by the coil captures a maximal amount of the flowcell (and sample) volume (for high observe factor).Â Together, these attributes result in optimal signal detection from your sample, and greater S/N. Stated above, the tightly coupled and defined RF field produced by the millimeter-scale microcoils results in higher signal induction and greater mass-detection sensitivity.Â A further benefit of small scale and the use of solenoidal microcoils is that the RF fields are produced in a manner that inherently provides cleaner baselines and fewer unwanted materials artifacts.Â Explained above, the solenoid is a tightly-wound, multi-turn magnetic field sensor in which the RF (B1) field is highly focused in the interior region of interest (the region where the NMR flowcell is positioned in the CapNMR probe,) whereas in contrast, saddle coils are typically designed to be less tightly coupled, to provide mechanical clearances to accommodate the passage of an NMR tube into and out of the coil at each sample change.Â The â€œstrayâ€ fields (e.g. fields that extend outside the region containing the sample) are significantly greater when employing larger coils that are more loosely coupled to the sample.Â These fields penetrate other components (electrical components, mechanical structures, etc.) of the probe, and if protons are present (most materials are protonated), result in baseline artifacts that are virtually impossible to eliminate.Â The use of a small solenoidal microcoil means that relative to the size of the coil, the other components of the probe are far more distant than with larger RF coils.Â The result is less signal from unwanted sources, flater baselines, and cleaner spectra.Â Â This is particularly important when considering low mass samples, where two probes with the same mass sensitivity can provide drastically different NMR spectral performance. 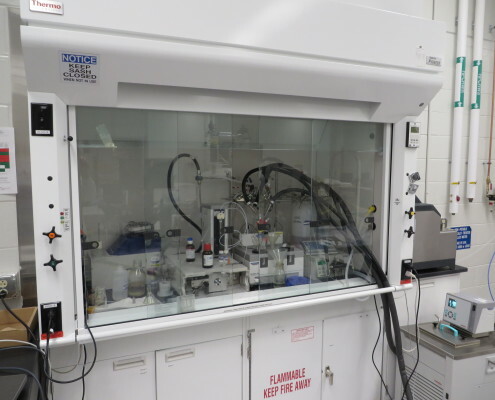 Significant effort has been expended in the past decade to incorporate means of chemical purification prior to NMR detection, in an attempt to isolate the analyte of interest and to eliminate unwanted â€œnoiseâ€ from the NMR spectrum. 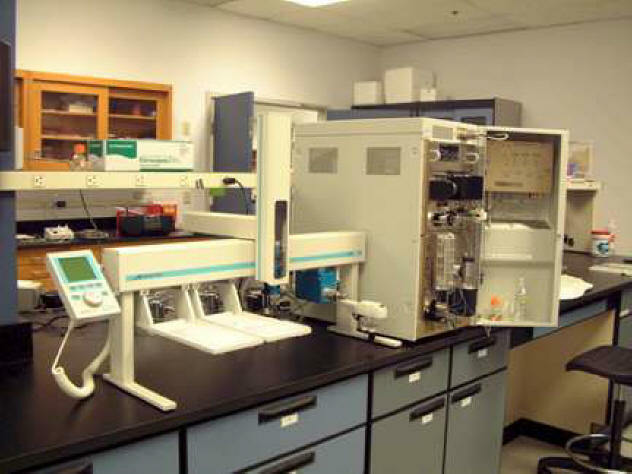 Â Of the wide array of analytical methods that have been employed, the most popular NMR hyphenation has involved high performance liquid chromatography (HPLC).Â HPLC columns have been used to separate complex mixtures in order to isolate specific analytes for subsequent NMR investigation, and less aggressive forms of solid phase media (e.g. solid phase extraction cartridges) have been employed to concentrate analytes of interest and thereby maximize the desired (analyte) signal relative to the unwanted (solvent) signal in the NMR spectrum, i.e. to provide a high signal-to-solvent ratio.Â Considering the large proton abundance (typically molar concentration) in solvents relative to that (typically millimolar or less) in analytes, concentration of the analyte minimizes the challenges associated with solvent suppression and generally provides cleaner NMR baselines.Â The same concept applies to the condition of small mass analysis.Â While some larger-volume (e.g. cryo technology) probes boast of comparable mass sensitivity to microcoils, the use of such probes requires that the small analyte mass be dissolved into a relatively large volume of solvent.Â This approach results in a low signal-to-solvent ratio, and generally results in a NMR spectrum that is complicated by solvent and impurity artifacts.Â While the use of deuterated solvents and ultra-pure reagents helps to reduce unwanted artifacts, this truth applies equally to microcoils and larger volume applications.Â The simplest and most efficient approach is to maintain a high analtye concentration and to utilize clean, deuterated solvents.Â This is the approach used by the CapNMR probe. Small coils are typically more tolerant to variations in sample conductivity (e.g. salt) than are larger coils.Â While this is not a rationale for comparing the absolute S/N of one probe technology against another (such comparisons should be made using the sensitivity arguments explained previously), greater salt tolerance does imply that the degree of intervention required to adjust (e.g. tune, shim) the probe between sample runs is less, and that the S/N obtained using a salty sample and a microcoil probe will be closer to the S/N obtained using a non-salty sample.Â This translates to ease of use and greater experimental consistency for the spectroscopist, faster analysis due to less need for shimming (and consequently reduced shim settling times) and re-tuning between samples. 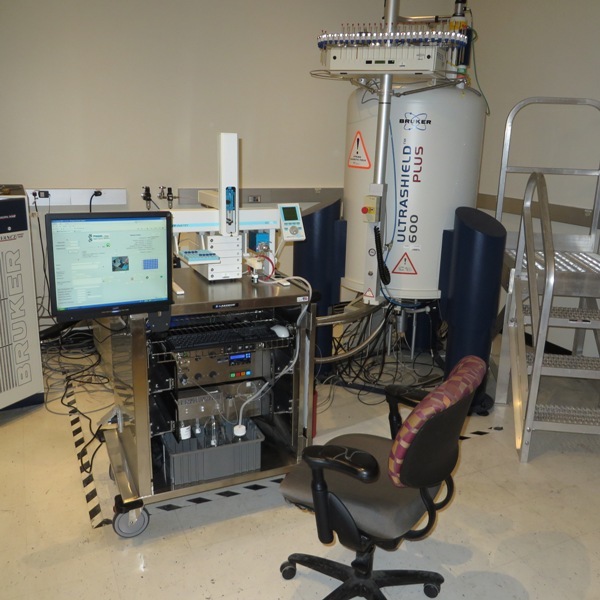 NMR is inherently sensitive to the magnetic environment of the sample, and consequently to the composition of the sample.Â Hyphenated LC-NMR applications have demonstrated that compositional variations (e.g. solvent gradients) result in time-dependent magnetic field perturbations that can destroy spin coherence.Â The diffusion-based process of re-stabilization toward equilibrium is greatly enhanced in geometries that possess a large surface-to-volume ratio.Â By definition, this means that smaller geometries are better suited to rapid restoration of equilibrium conditions than are larger geometries.Â This means that programmed variations in flow conditions (e.g. solvent gradient LC runs) as well as unintentional variations (solvent/sample mismatches) can both be accommodated more quickly with the CapNMR probe, resulting in shorter wait periods for you to get the data you desire.Â Less time, less money, and greater sensitivity performance, all in a simple-to-use package, make microflow NMR the technique of choice that many are turning to for addressing their application needs. The enhanced magnetic field performance of smaller coils is valid for small gradient coils as well.Â Applicable CapNMR probe models employ a small z-gradient coil that requires very little power (10-20% of full gradient driver power, typ.) to produce standard field gradient values (40-80 G/cm), and can be operated at higher powers to reliably produce gradient strengths of hundreds of G/cm for diffusion and other gradient-intensive spectroscopy applications.Â Further, the use of a smaller coil geometry means that the fields produced are better confined and have less interaction with the magnet and surrounding structure.Â This means less eddy currents and faster settling times, with less demand for complicated shielding circuitry.Â Simple, effective, and efficient â€“ the microflow way. RF design constraints are simpler to manage at smaller size scale.Â This is obvious from the complexity that has been achieved in modern desktop computers, where miniaturization and integration have provided functionality that far surpasses that of large, mainframe computers of decades prior, at a fraction of the cost.Â The electrical properties of microcoils make them amenable to novel forms of RF isolation that is not feasible at larger size scales, making it possible to include multiple nuclear frequencies on the microcoil.Â This is contrary to conventional heteronuclear probes, where â€œinnerâ€ and â€œouterâ€ coils are employed, and where sacrifices in sensitivity are made to â€œouterâ€ coil nuclei and to minimize the number of nuclei present on the â€œinnerâ€ detection coil.Â With microcoils, all nuclei are channeled to the primary coil, and reception can be accomplished with negligible penalty in 1H sensitivity, while supporting alternative nuclei (e.g.. 13C) on the same coil.Â One high quality coil for all nuclei, used for both transmission and reception â€“ this is CapNMR sensitivity, simplicity, and economy working together. 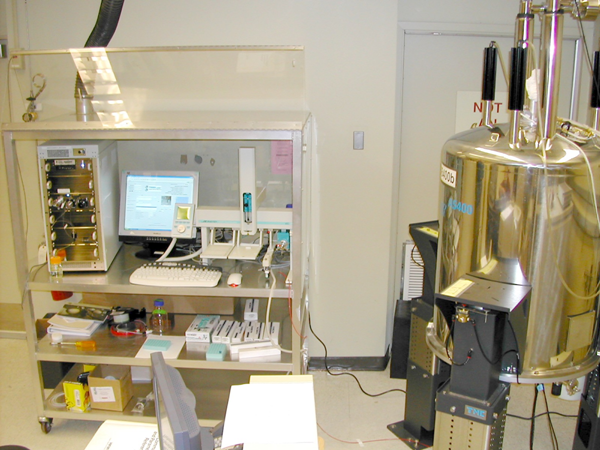 Thermal gradients are inherently smaller and easier to manage in small spaces relative to large spaces.Â This works to advantage in the CapNMR probe, where thermostating your sample can be accomplished simply and efficiently, with excellent NMR results.Â This means less thermal settling time, and better results, faster. Obtaining a high signal-to-noise ratio requires a probe that is highly sensitive, and a means for efficient and effective transfer of sample to the detection region of the probe without compromise to the condition of the sample.Â Capillary scale fluidics are far superior to conventional-scale transfer tubing in their ability to accurately, reproducibility, and reliably transfer samples to the probe.Â Detrimental forces of nature that lead to peak broadening and dilution in conventional-scale tubing are virtually eliminated at the capillary scale.Â This is particularly important in NMR, where often the sample preparation and control instrumentation are physically distant from the magnet, to preserve the 5G safety line.Â Microflow NMR means that you can prepare your sample, and inject it reliably in a format that is not diminished as it passes through the transfer line.Â Â Simple, economic operation, with high performance results â€“ the microflow way. Protasis CapNMR probes achieve high mass sensitivity by tightly conforming the radiofrequency detection coil to the sample, for high fill factor.Â Since the sensitivity advantage is achieved through size reduction, the RF coil can be maintained at room-temperature, thereby making unnecessary the use of cooling systems and ancillary supporting platforms.Â The probe is easily inserted into the NMR magnet in a matter of minutes, and shimming and tuning are rapidly performed.Â Simplicity of design also means that the probe can be operated for extended periods of time with minimal maintenance, employing rinse and cleaning protocols that can be easily performed in your laboratory.Â In the unlikely event that the probe require return-to-factory service, diagnosis and repair can be rapidly completed.Â Simple design, simple operation, superior results â€“ the CapNMR way. Protasis probes employ a small solenoidal microcoil for radiofrequency detection.Â This coil is designed and manufactured to remain in intimate contact with the outer surface of the NMR flowcell.Â Contrary to tube-based probes where sufficient tolerance must be maintained to facilitate tube removal and insertion, the only material changing from sample-to-sample in Protasis probes is the sample itself.Â RF tuning is easily performed using standard â€œtuneâ€ and â€œmatchâ€ wands, and due to the minimal perturbation experienced by the microcoil from sample-to-sample, does not typically require readjustment except when a new solvent is introduced.Â This means less worry for you, less time required for probe adjustment, and more time to focus on what is important â€“ your sample and your data. 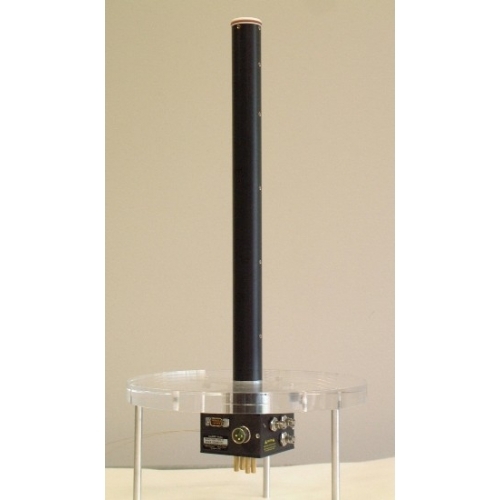 The Protasis CapNMR probe utilizes an RF coil that behaves virtually the same as a larger RF coil from a room-temperature probe.Â This means that your RF pulse sequences and NMR parameters can translate immediately to the CapNMR probe.Â In fact, the only adjustment that is required is a reduction of transmitted RF (and lock) power, and in the case of gradient experiments, a reduction of the power supplied to the gradient coil.Â These adjustments are fully explained in the CapNMR manual, and involve a common scaling factor that is applied to each pulse sequence. Protasis offers a range of sample management options for loading samples into the CapNMR probe.Â Customers with fewer numbers of samples, who are generally interested in documentation or publication (external or internal to the organization) of results can benefit from the Protasis CitationÃ” platform.Â Samples are simply and easily loaded manually, from a syringe, into an injection loop.Â When you are ready to load the sample into the probe, simply push a button.Â The sample travels a pre-calibrated distance under tightly controlled flowrate and stops automatically in the center of the NMR flowcell.Â Sample removal (and optional retrieval) is facilitated by pushing the button a second time.Â Customers with greater interest in automation can use the CTC (Leap Technologies) liquid handler to operate the syringe and inject the sample into an injection loop, followed by loading into the probe, all under Protasis One-Minute NMR automation control.Â Data storage and retrieval is readily facilitated by One-Minute MR as well.Â This state-of-the-art software runs from any pc or workstation capable of running a web browser, and interfaces to common industry structure confirmation packages.Â Sensors on both Citation and One-Minute NMR systems inform the user in the unlikely event of trouble during sample injection, and also offer reminders with regard to filter change and system maintenance.Â New features and capabilities are being added continually to enhance the functionality of the Protasis sample management systems and to provide new solutions for our customers.Â Call us today with your specific need or special request! 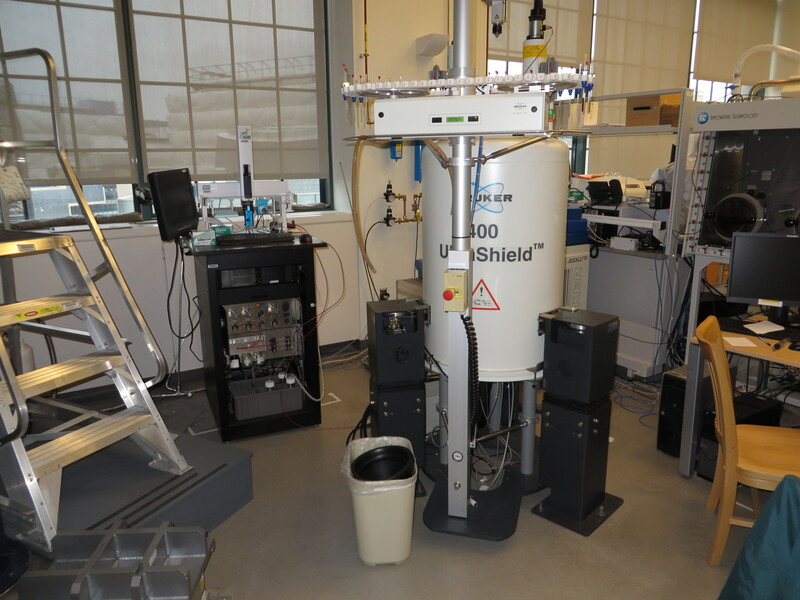 Protasis has more than 200 installations on all makes and models of NMR magnets and spectromters from 200 MHz up to 800 MHz. Protasis probes and fluidics systems employ highly accurate and tightly calibrated capillary-scale transfer lines made of fused silica or FEP TeflonÃ’ for transfer of the sample from the point of injection into the probe.Â These lines provide a cleanly swept flowpath, and preserve sample concentration and volume as the sample traverses several meters of length from the point of injection to the NMR flowcell.Â This translates to optimal performance and high signal-to-noise ratio, using a system that is easy to maintain and easy to understand.Â At Protasis, we donâ€™t believe that high performance requires high technological complexity.Â Rather, we believe that the simplicity of our design offers operational advantages that lead to functional benefits and enable more complicated experimental protocols to be successfully applied.Â Said differently, we think that the emphasis on complexity should rest with how our instrumentation enables your complicated experimental protocols, and not with the operation or maintenance of the instrument itself. Protasis probes are designed to function in the range of field strengths most popular to NMR.Â The simple radiofrequency (RF) design makes it possible to provide multiple-resonances for multi-nuclear detection on a single coil, providing mass sensitivity advantage for all nuclei relative to what would be achieved when â€œinside-outsideâ€ multi-coil geometries are required.Â The same simplicity rules and ease-of-shimming/ease-of-tuning apply to the higher field strengths as well. 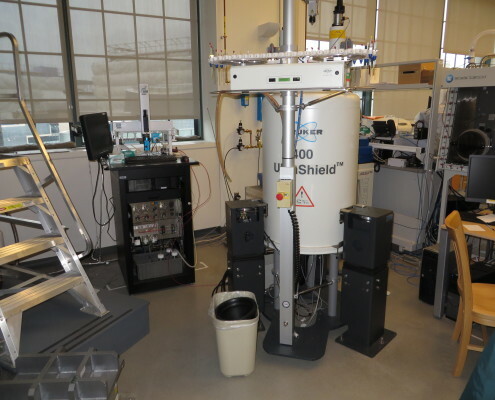 The choice of fused silica and FEP TeflonÃ’ for the wetted surfaces of the probe and fluidics system means that virtually all popular NMR solvents are supported in Protasis CapNMR probes. 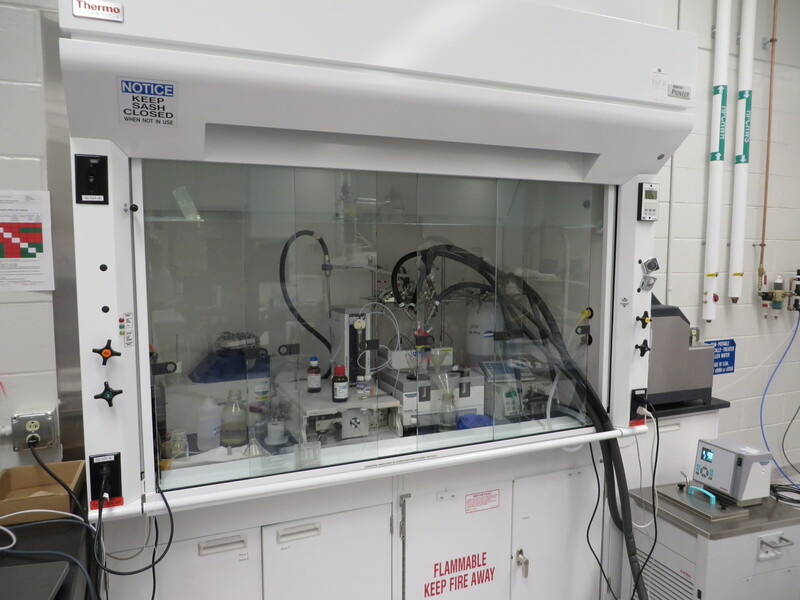 Â Further, the ability to utilize (and subsequently dispose of) extremely small volumes of solvents and reagents means that you can be more judicious in your choice of optimized (and more costly) solvents, including the use of fully-deuterated solvents.Â This translates to less need for solvent suppression, and greater focus on the signal from the analyte of interest.Â Simple and effective â€“ the CapNMR advantage. 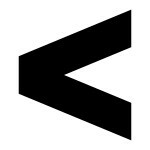 The economics and efficiency of â€œdoing more with lessâ€ are well understood across a broad array of scientific disciplines and technology platforms.Â Fundamental to the core mission ofÂ Protasis/MRM is the transfer of innovative application methodologies and component technologies from analytical techniques where miniaturization has been shown to provide clear advantage.Â Capillary fluidic transport, tightly controlled fluidic pumps and valves, miniaturized detectors, and web-based automation and control software are all components and feature attributes borrowed from complementary techniques and applied to NMR to achieve similar advantage.Â NMR has until this time remained historically rooted in tube-based samples and the need for milliliters and milligrams of material.Â The ability to analyze microliters and micrograms means that you can focus your time on doing more NMR analysis without waiting for additional sample prep.Â It means that you can more quickly analyze your synthesis product to make assessments earlier in the process.Â Â It means that with less time for expression you can understand basic behavior attributes of your proteins so you can intelligently direct financial resources to the candidates that merit further analysis.Â It means that you can time-track the biofluid data of one mouse rather than an ensemble average.Â It means that you can accept microplate and microvial sample media formats compatible with other techniques so that NMR can added to the measurement chain without precondition for additional sample work-up.Â It means that you might avoid the technician and quality control resources required to reconstitute to a previous format by simply not being required to â€œgive backâ€ the 5Â mL you injected.Â Simply put, it means that you can get information more quickly, information you need to make decisions to direct your resources more wisely.Â Itâ€™s the economy of small size scale, and itâ€™s a microflow CapNMR advantage. A 24-hr run of protonated acetonitrile in a conventional flow system (1Â mL/min) is approximately $16/day, with Â¾ of a liter consumed, plus the additional amounts required for cleaning and rinsing conventional-scale plumbing.Â Similar numbers apply for tube-based approaches, where typically a liquid handler is employed up-stream for automated loading of the tubes with sample.Â A 24-hr run of higher quality, deuterated acetonitrile in a capillary flow system (5Â mL/min) is approximately $10/day, with less than 5Â mL consumed.Â Cleaning and rinsing steps require proportionally less than conventional scale as well.Â The order-of-magnitude difference in solvent utilization is equally true on the back-end of the process as well, where disposal procedures and disposal costs must be accommodated.Â The purposeful choice of a system that uses ten-fold less solvent yields economic advantage to help you run your lab more efficiently, to invest your resources where they are most needed, and to maintain a responsible position with regard to the disposal of biohazardous materials -advantages of the microflow approach that go beyond mere economics. Advanced features make MicroFlow NMR a superior alternative in many applications to both conventional and cryo-cooled NMR probes. CapNMR probes provide outstanding value that will give you exceptional results and pay for itself in a few months of normal use. You can investigate further on our feature tour. Get Published Faster with CapNMR Probes! Collect less. Make less. Save time and money! 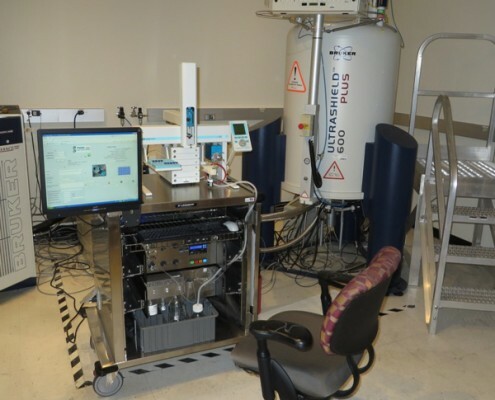 Hear about a contract lab’s experiences with micrcoil NMR probes.Â Doing more with less!